The successful candidate must possess the knowledge, experience and confidence to engage and professionally interact with the design professionals, consultants and client while successfully directing the Site Superintendent, Estimator, and other construction related personnel in planning, coordinating and safely executing the work in accordance with the contract documents, schedule and budget. Minimum 5 Years experience as a Project Manager. 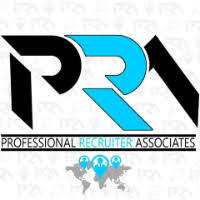 For immediate consideration, please forward a copy of your current resume to info@profrecruiters.com referencing job #1679 or a link to this job.